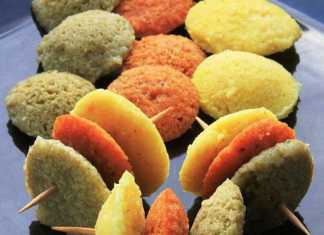 Find a collection of different types of idli recipes including colorful cocktail idlis, stuffed roasted idlis, fiber-rich protein-packed chickpeas idlis, brown rice idlis, wheat idlis, cornmeal idlis and more. 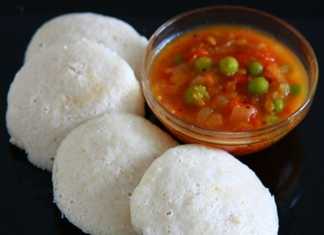 Do you think preparing soft idlis is a cumbersome job? Not at all with this short-cut recipe. It's easy to prepare, has a soft texture, tastes great and is healthy too. 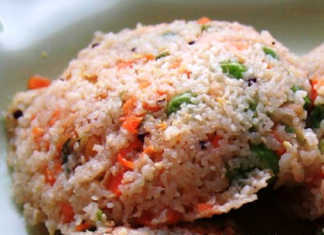 Here comes another whole grain idli recipe. The first one I posted was using whole cornmeal and in this recipe I have used long grain brown rice. For the quantity of brown rice I have used, surprisingly these idlis were very soft and had a texture similar to that of idlis prepared with white rice. 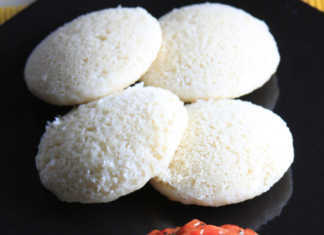 This is not your usual idli recipe. 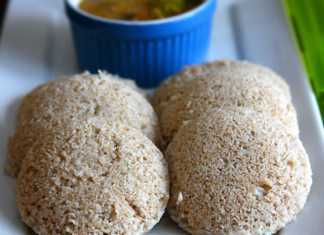 Try this whole grain idli recipe using whole cornmeal and urad dal. 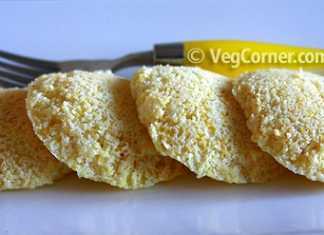 The idli rava like texture of whole cornmeal makes it possible to prepare idlis just like the usual rice idlis but this one has the goodness of whole grains. 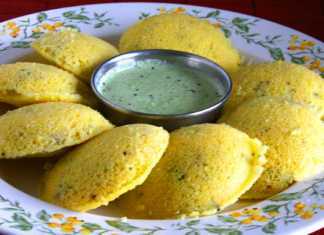 Stuffed Roast Idlis ~ A Creative Twist! 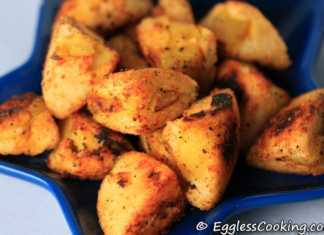 Transform plain old idlis into something very interesting and crunchy. Not only your kids, you will love it too!